Ramada Cornwall: Cornwall welcomes the Broomball nationals! Cornwall welcomes the Broomball nationals! For sports excitement, there’s nothing like the smell of the ice and the crack of… brooms? That’s right! One of the hottest up and coming winter sports, Broomball, is coming to Cornwall! The Broomball Nationals are being hosted at Cornwall’s very own Benson Centre. Featuring multiple divisions including Senior Men’s, Women’s and Mixed! 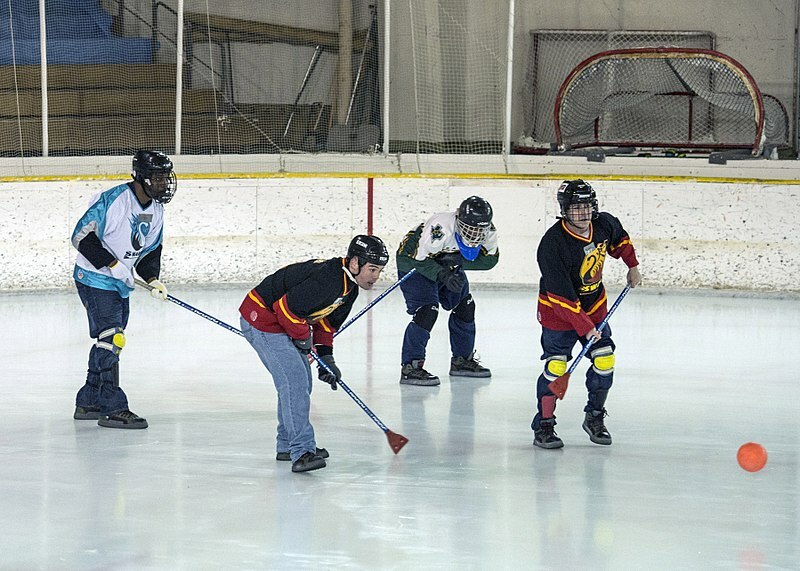 If you’re not familiar with Broomball, it’s an ice sport that’s a lot like floor hockey, but played on the ice – but NOT ice hockey. Players don’t wear skates, and use brooms to knock a small ball around the ice. It was developed in Canada (though some contest that Sweden came up with it) and it is an absolute BLAST to watch and play. As with most sports that start off as kind of silly but develop a following, Broomball has developed a talent pool that shows just how intense the game can be! The best of the best will play in multiple games this April 9-13! Come experience the excitement of this young sport before it becomes a household name at a honey of a ticket price! Or, if you’re coming to compete, get ready to have the time of your life while vying to earn the national title! Either way the place to stay is at the Ramada Cornwall. Our comfortable rooms and bed are a great place to rest up for another exciting day, and our indoor heated pool and hot tub are an excellent way to rest your aching muscles after a long day of ice sports!